While many people visit Old Town Alexandria to enjoy the waterfront, shop at our many boutiques, or admire our historic architecture, another main attraction is our impressive variety of great restaurants. There’s an abundant variety of restaurants in Alexandria, VA from unique French spots like Bastille to the rustic American Virtue Feed & Grain. There are far too many incredible dining experiences for us to list them all, but we’ll take a look at some of our favorites we think that diners around Arlington will enjoy. Since 2006 Bastille has been owned and operated by the husband-and-wife team of chefs Christophe and Michelle Poteaux. They offer a contemporary take on Fench cuisine set within a sophisticated and comfortable atmosphere. Open Tuesday through Sunday, Bastille serves brunch, lunch, and dinner including popular dishes including Chicken “Paillard”, Steak Frites, and Roasted Pork Loin and Fennel. They also offer a selection of fine wines and craft beers. Washington DC area diners looking for a one of a kind Italian restaurant in Alexandria, VA should check out II Porto. Just down the street from the waterfront, II Porto has been serving classic Italian fare since 1973. Known for their fresh homemade pasta dishes that are served with their famous house salad and freshly baked bread, II Porto offers Italian staples including lasagna, Spaghetti & meatballs, and raviolini that are sure to satisfy even the most refined palate. Led by Corporate Executive Chef Graham Duncan and Executive Chef Aldo Avilez, Virtue Feed & Grain has created a contemporary American tavern menu designed around the seasonal ingredients found near Alexandria. Their all-day menu includes some unique options for Springfield area diners including wild boar chops, duck meatloaf, and sweet potato tacos. They also serve some delicious classics including slow roasted prime rib and pan seared salmon. Diners looking to enjoy a delicious meal in a comfortable and rustic setting should consider Virtue Feed & Grain when looking for restaurants in Alexandria, VA.
With so many incredible restaurants to choose from, Old Town Alexandria is a great destination for area residents looking to explore a wide range of dining experiences. 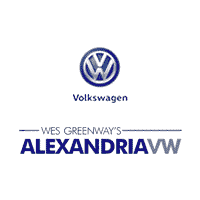 We hope the team here at Alexandria Volkswagen has helped you select where you want to dine around Alexandria. Whether you choose one of the restaurants we’ve mentioned above or opt for the best brunch in Arlington, VA, we’d love to hear about your experience. Contact us to let us know about your favorite restaurants in Alexandria or what kinds of things you like to do to work up an appetite, such as explore a nature park in Annadale, VA!